The death, quite suddenly, of Sir Charles Baskerville in mysterious circumstances is the trigger for one of the most extraordinary cases ever to challenge the brilliant analytical mind of Sherlock Holmes. 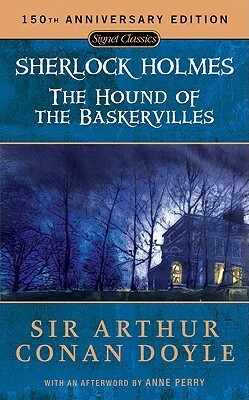 As rumours of a legendary hound said to haunt the Baskerville family circulate, Holmes and Watson are asked to ensure the protection of Sir Charles' only heir, Sir Henry - who has travelled all the way from America to reside at Baskerville Hall in Devon. And it is there, in an isolated mansion surrounded by mile after mile of wild moor, that Holmes and Watson come face to face with a terrifying evil that reaches out from centuries past . . .